EXCLUSIVE Harley’s evergreen Sportster is probably the world’s most commonly modified bike. So it’s hard to create anything truly original. 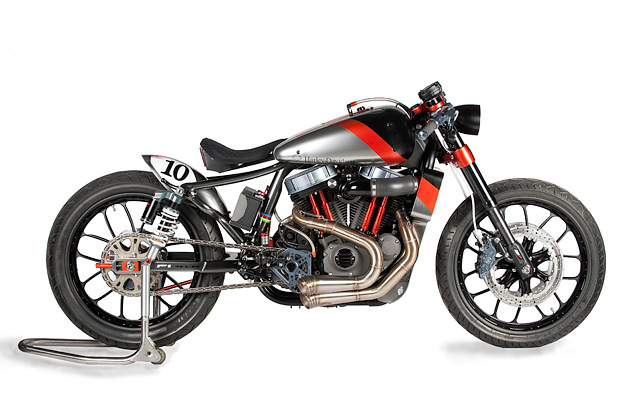 But the AMD Championship-winning workshop Shaw Speed & Custom has pushed the boundaries once again with this Nightster-based custom, the F1-XLR. This time, inspiration comes from 1920s Harley-Davidson board racers—with the classic Shaw recipe of old meets new. And if the smoky grey paintwork looks familiar, that’s because it’s the same paint used by the McLaren Formula One team. This English-built Harley Nightster is a prototype: the first fruit of an unusual new project that Shaw is working on with an Australian businessman. 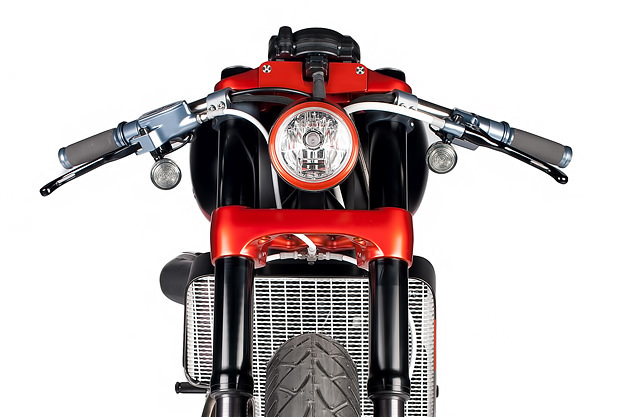 It’s designed to explore how vintage racing influences can be incorporated into the contemporary Sportster platform. For the F1-XLR, Shaw has improved the breathing of the Nightster’s 1200 V-twin with a ram-air intake and a one-off set of custom pipes. Extra detailing includes modified Covington rocker covers, bigger pushrod tubes and a shortened cam cover. The oil reservoir has been relocated to the split-design gas tank. 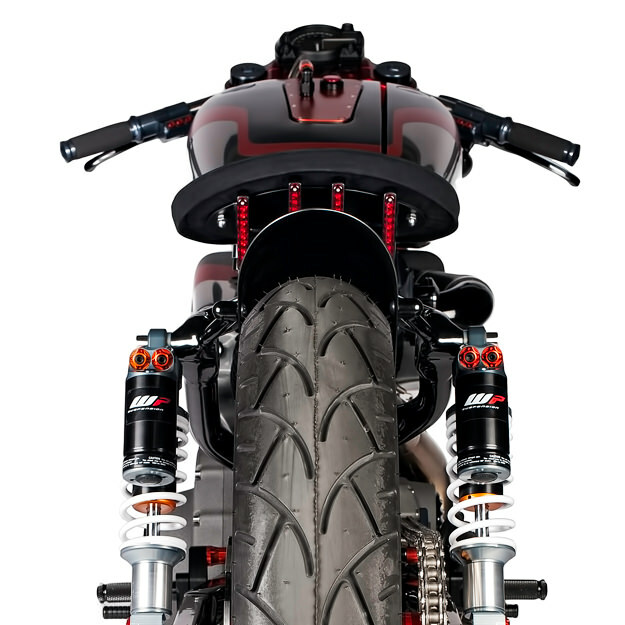 Upside-down forks—from a VRSCF V-Rod Muscle—are matched to clip-on bars, holding an anodized master cylinder and switch housings from Performance Machine. 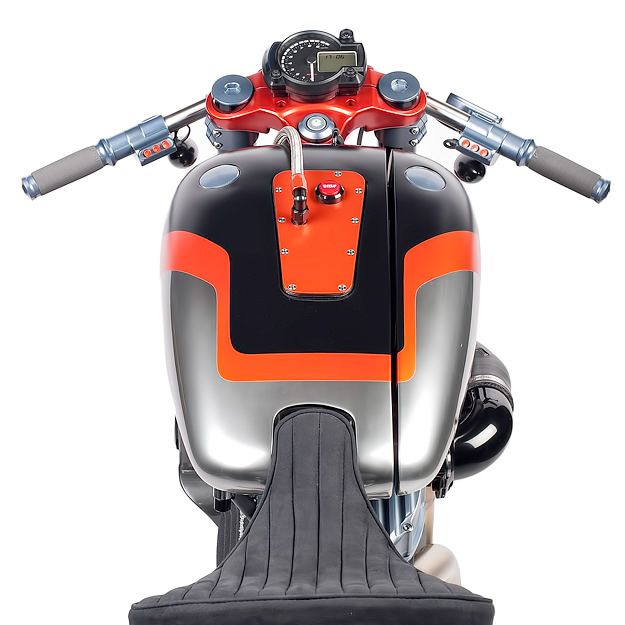 Shaw has heavily modified the seat area of the original Nightster frame, removing the fender rails and upper rear subframe and installing a small race-style rear fender. An extended swingarm is anchored by WP shocks, and the bike has been converted to chain drive. Tall 21-inch Performance Machine wheels (front and rear) add to the boardtrack feel, with big 13-inch rotors and six-pot calipers on braking duties up front. The result is lean and classy and with more than a touch of practicality. 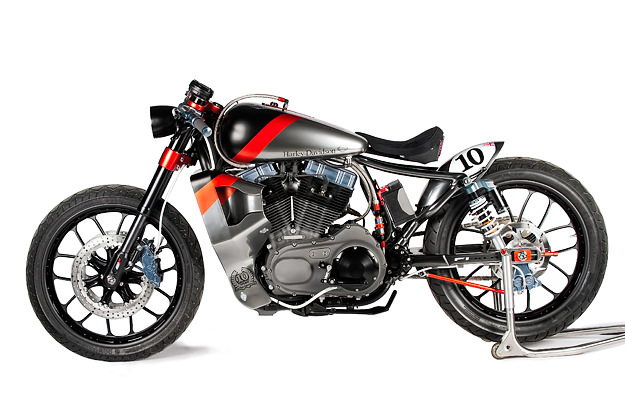 Could this Harley Nightster be the machine that scoops the AMD Championship for Shaw a second time? I’d like to think so.